If you're an internet marketer trying to make money online, you probably depend on a variety of free, freemium and paid software services. Below is a list of my recommended internet marketing tools. I use or have used all of them at some point or another. Many of the tools I've listed are essential, while some are nice-to-haves. Whatever the case may be, the right tool can dramatically expedite your progress, whether you're doing keyword research or outreach. Disclaimer: Some of the links below are affiliate links. This means that if you buy one of them I will receive a commission for the sale, at no cost to you. Overview: If you can't afford SEMRush or Ahrefs, go for KWFinder or LongTailPro and use free tools like Keywords Everywhere as a supplement. Ahrefs is my top keyword research recommendation. If you need AdWords PPC insights, go with SpyFu- it also has lead generation tools to help you extract contact information from competitor websites. A robust keyword research and backlink analysis tool, it's Ahrefs top competitor. KWfinder is another paid keyword research tool that's ideal for beginners who don't have a lot of money to spend on Ahrefs. It's an intuitive, data-packed, modern tool that helpfully color-codes keyword difficulty scores, making it easy to eyeball the SERPs to see what your site can realistically rank for. Starts at $29/month. SpyFu is a search marketing 'spy' tool. It really specializes in unearthing the paid search campaigns that your competitors are running. While Ahrefs is the gold standard for researching organic keyword rankings and backlink history, their Paid Search data is not incredibly robust. The way SpyFu works, you enter in a domain and SpyFu enables you to see every place the competitor site has shown up in Google AdWords, including their organic rankings, and all of their ad variations for the last 12 years. In addition SpyFu has something Ahrefs and SEMrush doesn't provide- lead gen tools that help you unearth their site's emails, social media accounts, email addresses, phone numbers, and physical addresses. Search for any competitor. Download their keywords. It’s that simple. Learn competitors’ PPC & SEO tricks and avoid their mistakes. Try it free. No CC Required. Ahrefs is an indispensable SEO tool- it's a suite of keyword and competitor research tools that's essential to my day to day content creation tasks. In the past few years, it's basically become the #1 tool of any modern-day SEO. Whether you're analyzing the organic keyword rankings of your competitor or assessing your own domains link growth over time, it has a range of ever-expanding utilities. The entry-level plan is $99 a month. I've written about LongTailPro before- it's more of a dedicated keyword research tool than Ahrefs and could be a solid, discount option if you're not ready to shell out the cash for an Ahrefs membership. It features desktop and cloud keyword research and keyword tracking capabilities, but isn't able to spy on your competitors keyword rankings. It will help you find keyword ideas, see how difficult they would be to rank (based on their proprietary keyword difficulty metric), and track your rankings progress using their cloud account's keyword tracking system. Honestly, this is one of my favorite tools. I use it as a Chrome Extension- it shows me keyword search volume across Google, YouTube, Amazon and more. It provides an easy way to spot-check keyword search volume whenever I'm considering creating a new piece of content for my different websites. Check out how I use it here. This is a cluttered space. If you're just starting out, Buffer is a great freemium tool. There are also a ton of WordPress plugins that will auto-share new content for free- there are even some that will syndicate older content. I also endorse MissingLettr for long-term, social drip campaigns. And if you're looking to grow your Pinterest traffic, and you're in a visual niche, ViralTag is my go-to tool. I'd advise to at least do something on social if you're just beginning to grow your niche site- waiting for organic traffic to kick in can be like watching paint dry. Check out my get started guide- towards the bottom I discuss my Twitter comment growth strategy. This is the one social tool that I regularly use. The way it works, it connects with your site's RSS feed. So whenever you publish a new post (you can also do this with older ones), it'll automatically generate a social media drip campaign, with different images and text, across a variety of social platforms. All you have to do is approve the campaign and it will send out 9 of these social posts over a set time period. I wrote up a whole review of MissingLettr, so check that out to see my written guide and video tutorial. I use ViralTag exclusively to get traffic from Pinterest. The way it works, say you publish a post, you can then click on the Chrome extension and automatically pin all of the images from your post to Pinterest your Pinterest board on a set or custom schedule. Another way you can use it- you can pin other site's images to your board and direct the URL to your own or to their site. It's a handy automation tool for Pinterest and a great way to drive non-SEO traffic to your site. I also wrote up a ViralTag review demonstrating how I use it. The # 1 Social Media Marketing Tool for Sharing Visuals. Start for free. Viraltag is the best social media marketing tool for sharing visuals across Pinterest, Instagram, Facebook & more, used by over 50,000 businesses. Start for free. Buffer is a great freemium social media planning and sharing tool. I have used its free and its paid version over the years. I like how easy it is to add content to a Queue and get it automatically pushed out to different social channels. Sort of a swiss army knife, definitely a recommended option to help manage content curation across diverse social channels. I use SiteGround for all of my hosting. I'm on a VPN plan. Support is very good- I've had 2 AM crises with sites going down and I've been able to get on the phone with them. Their live chat and support ticket channels are also great. SiteGround, to my eyes, is a consensus choice among a lot of the webmasters I personally know that are making serious money online. There are a million WordPress themes out there. When I first started out in niche site building, I purchased a theme specifically designed for Amazon affiliates. It wasn't a bad theme by any means, but over time I've learned it's better to purchase a 'general', as opposed to a 'niche', theme, and adapt it to your particular needs. When it comes to themes, you want to purchase popular, vetted themes that have lots of users and high-quality support. If a lot of people use them, you can rest assured that you can find solutions for common errors, even valuable enhancements. I've recently begun using GeneratePress for one of my bigger sites- the AuthorityHacker facebook community endorses it. I'm not a super-technical SEO, so I often rely on more tech-savvy internet marketers to recommend the best WordPress themes. There's a million themes to choose from and since they all have affiliate programs, you're never going to find an honest review. I recently switched one of my primary websites over to GeneratePress because of the recommendation of the guys over at AuthorityHacker. They're really on the cutting edge- so I trust that this theme is an optimally coded. So far, I've liked using it- I don't need anything too complicated. Just something that doesn't screw up page-load speed and has a solid support community, which GeneratePress definitely does. GeneratePress is a responsive, easy to use WordPress theme available for free. It’s one of the most highly rated themes available on WordPress.org. ThemeForest has a ton of different WordPress themes you can choose from. Rather than use GeneratePress, sometimes it makes sense to choose a niche WordPress theme. For example, there are themes for wedding, directory, corporate, DIY, and membership-style sites. These niche themes can provide unique functionalities that you might need depending on the style of site you're building. iWriter is a content marketplace. Think of it like a Fiverr but just for content. Unlike UpWork, where you have to recruit, negotiate with, and train writers iWriter offers a quick and easy way to outsource lots of content creation fast. I recommend going with Elite-level writers, otherwise the quality of the Englih will be sub-par. I wrote up a whole iWriter review that you can read showing you how I outsource content using iWriter. It's a great way to scale content creation, whether you're doing affiliate SEO or trying to rank eCommerce products in Google. 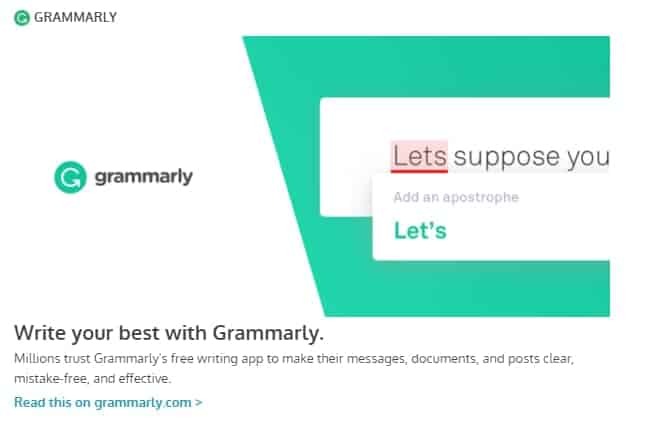 Grammarly is a freemium tool that spot-checks your spelling and grammar, either by using their dedicated site, or by using their browser extension. I have all my writers run their content submissions through Grammarly before they submit it to me- this captures a lot of idiomatic, spelling and punctuation issues, so the content I pay for better quality. I also like that the browser will check your WordPress content on page- highlighting different language errors that you can fix with a click. I generally get by with the free plan- but the paid plan includes grammatical fixes, which can be useful. There are some white-hat uses for this article spinning tool. I use it primarily to touch up content that has already been republished many times on the internet. Things like recipes or product descriptions- and I give attribution. You're probably aware that your content can be filtered from Google Search if it's 'duplicate'. So manually swapping keyword synonyms out is a smart strategy to maintain uniqueness without losing the coherence of the content you're spinning. I did a TheBestSpinner case study you can read to get a deeper understanding of how it works. The Best Spinner – the most powerful article spinner software. If you're building an authority site, you're going to want to spruce up your content with images. When I first started building sites, I would search out free images online to complement my content. The problem with this is that while there are a bunch of great royalty-free image sites like Unsplash, they don't have a lot of 'niche' images you can use. They are, generally, pretty generic images. So when AppSumo ran a DepositPhotos promotion that provided an evergreen license for 100 photos, I jumped on the plan and since then I've added another 100 image pack since then for $100. They have different plans- a Subscription Plan, a Flexible and an On Demand plan. One of my sites is in the software space, so whenever I need an image for an operating system like Windows 10, I go right to DepositPhotos. Definitely a smart buy- and cheaper than a lot of other stock photo sites. I've been using ConvertKit for about a year now. It's a simple, modern autoresponder tool with some advanced automation capabilities. The automation features make it easy to set up funnels. So, for example, if you have one main drip email sequence, you can have signups for different giveaways, deliver those unique assets by email, and then feed those subscribers into your primary list on a delay. There's an intuitive visual layout tool that makes this easy to do. I frequently describe ConvertKit as a modernized AWeber- one of the classic, old-school autoresponder services. Get the automations and email marketing tools you need to grow your blog and business. Join 19,000+ creators and try ConvertKit today. If you're growing a site, acquiring contextually relevant backlinks is a must. One of the best ways to do that is by 'guest posting'. This means, you outreach to sites in your niche and basically offer them free content in exchange for a link. But how do you find these sites? Sure, you can use a Google Search Operator- but that can be messy and inexact. Another way to find high-quality, strong domain authority sites accepting guests posts is to use Big Guest Posting. Big Guest Posting provides a huge listing of niche related blogs, lets you sort them by important domain authority stats, and enables you search through them by keyword. It will save you a lot of time searching for outreach & backlink targets- it's also a pretty handy competitor research tool! Outreach is an important part of growing an authority site. Obviously, backlinks and general site publicity are key to powerful SEO rankings. Ninja Outreach provides users a consolidated tool for Influencer Outreach. It's a web-based app that will make it easy to build successful influencer outreach campaigns for yourself or your clients. SupaGrowth has a ton of tools for site-builders. I'm on a paid subscription plan. His email scrape tool offers an affordable way to scrape emails from sites that you'd like to outreach to. The desktop tool also shows you the URL where the email address was obtained from- so it's publicly available information. You can scrape these emails legally and then import them into an outreach tool like Ninja Outreach for guest-posting requests. Just remember, when you outreach, to offer the recipient a way to unsubscribe- you don't want to run afoul of email spam laws. My Email Scraper can build you massive email lists for free and doesn’t even need a single proxy. This is a zero cost email scraper. If you're building an authority site, you'll reach a point where you can't do everything yourself. You might need to hire a writer, work with a WordPress developer, or bring on a full-time virtual assistant. UpWork is great for all of those use cases. It's one of my favorite hiring platforms- there are tons of people on it and they're constantly developing the site to make it easier to source, interview, and hire qualified professionals from all over the world. Check out my UpWork hiring guide to see how I use it. Think of Fiverr like a 'productized' UpWork. Fiverr is like a supermarket of various internet marketing services. Whether you want someone to do voice overs or create social media infographics, there are tons of providers on the platform. One caveat- be very careful with the SEO packages. Fiverr providers can play it fast and loose when it comes to SEO and backlinks, especially, so don't go crazy ordering backlink packages expecting to improve your rankings. That said, it's a great place to go if you want quick turnaround on a particular service so that you don't have to wade into the UpWork hiring process. Ezoic split tests ad placements on your site for you. So instead of having to laboriously test whether a square or rectangular AdSense ad works better above or below paragraph 10, their automated system will analyze this for you to determine the optimal ad layout for your website's content. This will help you improve your site's earnings- increasing CPC and CPM. I use Ezoic on one of my DIY sites and it basically 10x'd my earnings. The way they currently work, if you're making less than $1,000 ad revenue per month for that site, they'll place an ad at the bottom of your content. Once you start making over $1,000, you begin paying $40 a month. So if you're a smaller publisher, you can get by without even paying them anything to start! This WordPress plugin lets you create trackable, 'pretty links' for all of your long, ugly affiliate URLs. It's a freemium tool- so you can install the plugin for free and choose to upgrade depending on your needs. If you want some of the more advanced features, including 404 affiliate link error checks, auto-linking with affiliate URLs, with proactive link checking, and geolocation capabilities so you can users from certain areas to different URL destinations. Just remember- never cloak your Amazon affiliate links! This collection of desktop tools is insanely powerful. You can buy one or all of the various tools that sit under the SEO PowerSuite brand (Rank Tracker, WebSite Auditor, SEO SpyGlass, and LinkAssistant) or just pick up the lot of them all at once. The SEO PowerSuite toolkit is made up of 4 tools that cover every aspect of search engine optimization— keyword researcg, rank tracking, backlink analysis, on-page and content data, mobile SEO, social media, analytics, and reports. I was able to nab a lifetime deal for the Website Auditor during an AppSumo deal and it's truly indispensible, especially if you're looking to buy other web sites. That said, if you've got limited money to spend. I did buy the entire package at one point, but was disappointed that I had to pay a recurring fee for algorithmic updates. Before you buy this package, contact support and ask them what it costs for algorithm updates! 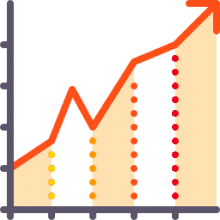 RankXL’s SEO course on how to build high-traffic blogs. Chris Lee's RankXL Authority SEO course focuses on creating profitable, high-traffic niche sites that are primarily monetized with ads. The course walks you through how to select a profitable niche, perform effective keyword research, properly structure your site for search engines, build powerful links for long-term rankings, and monetization strategies. Chris Lee has been in the niche site-building game for awhile- so this is a course I recommend without reservation. Unlike some of the fly-by-night 'make money online' courses I see, this course is kept updated and promotes the sort of sustainable SEO and site-growth strategies that I personally endorse. This course, SEO 2018 Training: The Complete SEO Course for WordPress Websites is all about 40 SEO (Search Engine Optimization) factors on how to reach top spot on Google search with Search Engine Optimization. Each SEO factor is explained in the following ways: > Why is that a SEO factor? There's a lot of SEO courses out there- it's a pretty saturated marketplace. If you want a cheaper SEO course than RankXL, I'd recommend going through some YouTube tutorials, or buying a Udemy SEO course. One of the most popular trainings is this "SEO 2018: Complete SEO Training + SEO for WordPress Websites". Ahrefs also lists some popular free internet marketing courses- but, in general, Udemy is pretty cheap and the quality is usually very good.